The Hispanic Society of America "is a museum of Spanish, Portuguese, and Latin American art and artifacts, as well as a rare books and manuscripts research library". It is located in New York, NY. These first two pictures were sent in by DF in 2015. 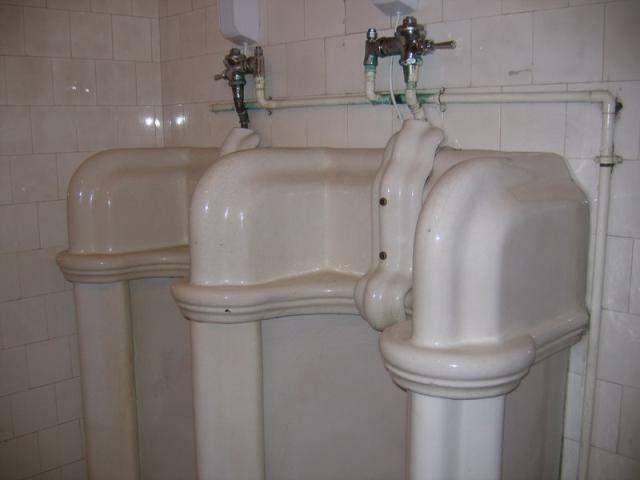 He writes: "As there are multiple photos of some urinals on the site, I decided to send one more. This side view shows the almost Baroque curvature of the fixture. 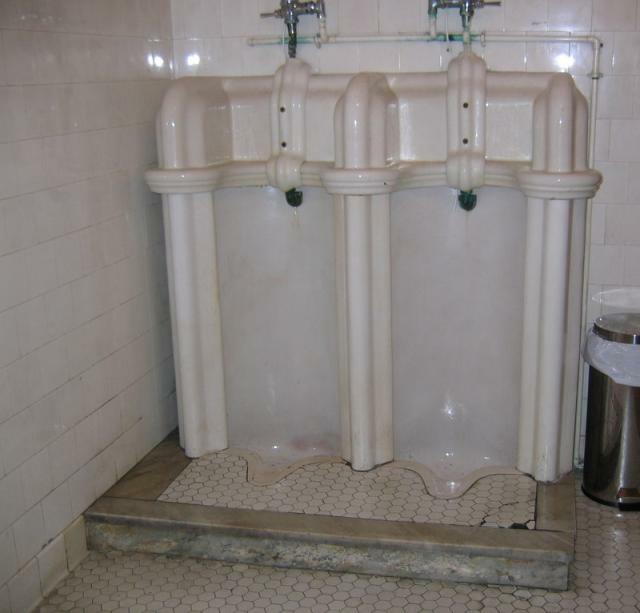 I have sent you a slightly wider image of the urinal that is 5 feet-5 inches tall (1.65 meters)." Wikipedia writes: "Founded in 1904 by Archer M. Huntington, the institution is free and open to the public at its original location in a Beaux Arts building on Audubon Terrace (at 155th Street and Broadway) in the lower Washington Heights area of New York City in the United States. Exterior sculpture at the Society includes work by Anna Hyatt Huntington and nine major reliefs by the Swiss-American sculptor Berthold Nebel, a commission that took ten years to complete." 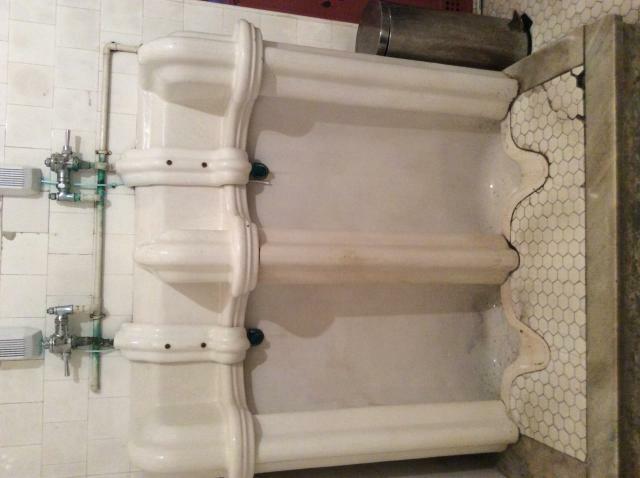 This third photo of the same installation was snapped by SD in 2015.